I am a newbie to SAP-HANA world and was recently exploring different types of CDS Views (particularly CDS Views with Input Parameters). Though CDS Views with Input Parameters were introduced quite a long time back but I could not find a way to make some of the input parameters as Optional. So I played around with some annotations and found out a way to accomplish the same. Here the parameter p2 is defined for the sy-uname value, but it functions as an optional parameter at run-time. If no value is passed for p2 parameter, the system defaults it to the sy-uname value. In this case my username is ‘FUNCTIONAL’ and is displayed in column ‘Name’. Both the code snippets work perfectly fine and generate the desired results. So in this way I made a parameter optional in a CDS View. This made me read about the help (F1 in AdT) about @Environment.systemField: #USER an thus learn a little bit more. Also, interesting to see that parameters can be used in the fields-list as well – I initially thought of them as only being useful for the where-clause. Nice Article Deepak, Any idea how one can get last fiscal year based on user Input from selection screen. Can you please elaborate your question ? from your blog it is known that only system fields can make optional , what about if the fields are not system fields like Material(MATNR), sales document (VBELN). Tough luck… and the others are not optional either, they just have default values…which can also be done with @consumption.derivation (a few options). Interestingly enough, do NOT try to perform an ASSOCIATION to a CDS view with Parameters (defaulted or not) — doesn’t work. 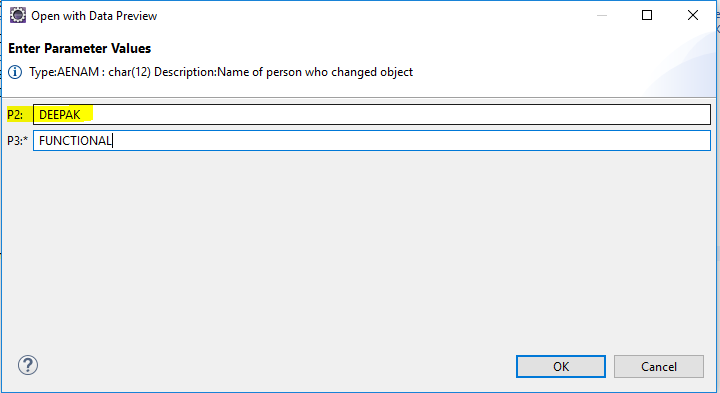 you are correct about input parameters in associations. 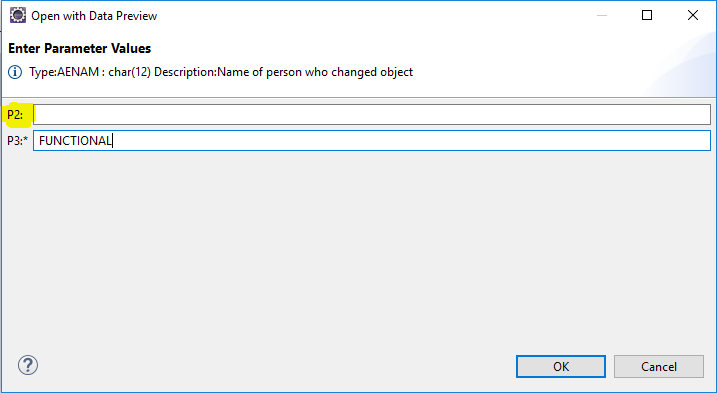 We managed to get it working by adjusting IO_QUERY_OPTIONS in the IF_SADL_GW_QUERY_CONTROL~SET_QUERY_OPTIONS method for the concrete Entity Set (depending on IV_ENTITY_SET). To be honest, this is probably not really a SAP Best Practice (and it is depending on hard coded input parameter names, which you have to place into your ABAP Code), but it is at least a possibility to deal with it. Can we make parameter optional for table field? In the above example you have used the system field to keep it optional.